Got a load of Fool’s Gold’s “Leave No Trace” album at work. There’s a lot going on beneath the vocals, but everything is wonderfully dynamic, Top’s voice would be missed if there was an instrumental only version released. My ears were drawn away from the lyrics of “Wild Window” here and there because of its background dynamism, but Top does this Goof Troop sort of thing with his voice (its an intentional stylistic parallel, however) and it retrained my focus– at least at the end of the finish of each line of lyrics. I was aware Top was singing, but not all the way tuned into what was emoted, per say. And that’s the sunniest way to get such a serious point across, something we can all sing along to and mean what we say in one way or another. Leave No Trace is a fun album – definitely sunny day, driving music. 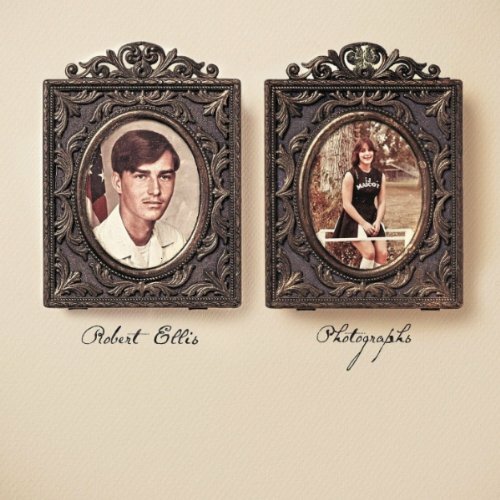 Robert Ellis’ new album Photographs is a bit of a departure from the work he did as a member of The Lonely Sparrows. However you can hear the distinct similarities in the albums. Ellis is originally from Houston, Texas and after the first track you would probably be able to guess it based on his deadpan draw. This album trenches it roots in two distinct genres, acoustic driven, front porch folk songs and blues injected country. Ellis has taken those classic country songs from the ‘60’s and ‘70’s that we all know and has added a 21st century attitude to the mix without losing the passion and sense of innocence of the original songs. This album is just about for everyone. There are influences on here that range from Doc Watson and George Jones to Garth Brooks and Del McCoury. So put this record on, pull out a high school yearbook, have a beer and take it all in. 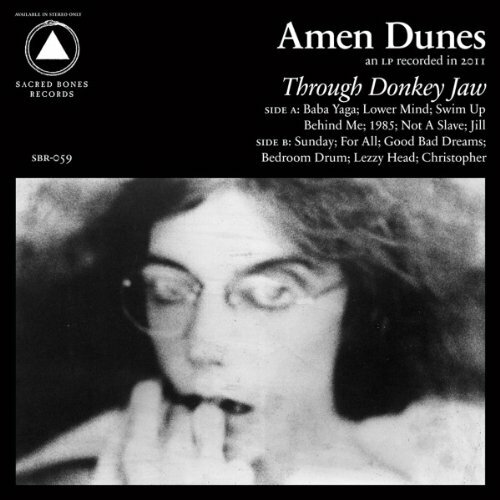 Amen Dunes’s “Through Donkey Jaw,” with its insistent beats and rough-edged rhythms, echoes the raw confessional choruses of the Velvet Underground. It’s washed out reverb recalls old psych rock, and the lyrics, sung like mantras, sound as much like chants as choruses. Take the instrumentals from the Velvet Underground’s Venus in Furs, and vocals from the White Album, and you would have a track that could have been lifted from “Through Donkey Jaw.” The effect is hypnotic. Listening to this album on repeat could put someone into a meditational trance along with the chorus. Damon McMahon’s lyrics differ from those of older artists in that he tends to stick to a phrase or two, and chant them along with the hypnotic drum beats. Some tracks have a sort of background description leading up to the chanted chorus. He follows up “Not the idea of hurting me/ It’s very me if packing me/ Now my eyes around desires …hopefully , hopefully,” with “more for love, love/ more for eye, eye.” The repeated choruses are definitely eerie, and with lead-ins like that, they’re meant that way. At least, Damon McMahon is sucking the listener into something. Whether it’s part of the new psychedelic folk rock, or simply a take off the dissociative qualities of drug-influenced 60s and 70s music, it does speak of some other world. “Through Donkey Jaw” is a dissociative album. The trance-like mantras, the crazed rhythms blended softly with washed out reverb, paranoiac voices echoing in the background like white noise- Amen Dunes is psychedelic. Chanting through disembodied voices, “All these visions/ I can see quite clear… I’ll destroy your name,” could have been a tribute to Roky Erickson’s schizophrenic confessionals. “Through Donkey Jaw” is vocalized from somewhere deep within. And like all art that pulls from somewhere profound and hidden, it comes across as a bit strange, maybe even creepy. Amen Dunes pulled out another catchy album, however strung-out. “Through Donkey Jaw” is enlightened as well as distortional. It makes sense and no sense at all. The best thing to do is to forget about all that and let the music transport you to places inside Damon McMahon’s head. Oh, such bands as the Library Voices only add more to this image of Canada being this wonderfully happy, pleasant place where everyone gets along…You know, Arcade Fire is also from Canada, another large group of happy Canadian musicians. With such a poppy sound all the way through, it was made to be the soundtrack to another Indian Summer we’re enduring, particularly here in Los Angeles. For those summer road trips, picnics at the beach, or just cutting a rug around the apartment (my personal favorite). Anyway, the lyrics aren’t as sugary as the melodies, but, does it really matter when you’re oooh-ing and woahhhh ohhh ohhh-ing a plenty to “Generation Handclap?” Yes, that title offers exactly that, handclapp-ing, which they don’t provide. Not only do they name drop literary figures, they make up such fun puns in their song titles as Que Sera Sarah- so good! My favorite song, is “Traveller’s Digest,” because what’s not to love about a song heavy on the synths and a saxophone solo?? The Gift Announces North American Tour, Playing FILTER’s Culture Collide Festival! Watch Their New Video For “Race Is Long” HERE! Portugal’s psych-pop group The Gift is releasing Explode, their sixth studio album, through their own label La Folie on September 27th, and now they’d like to share the news of their first North American tour in support of the album. The band came over in June for shows in New York City and Toronto, and now they’ll be bringing their amazing live show to Los Angeles, Chicago, NYC, Boston and Toronto. The band manages themselves, finances their own recordings, and produces some of the most visually-stunning live shows around (check out this video of “My Sun” for an idea). They’ve also shared the stage with some of the world’s biggest artists, including The Flaming Lips and Arcade Fire, all while topping charts worldwide. The Gift may be a new name to some here in the U.S., but this isn’t an overnight success story. The band has a rich history- for seventeen years, they’ve been totally DIY, having built a rabid fanbase in their native country and all over Europe without the aid of a major label, booking agent, or management company. I’m unsure if psychedelic music has a place in this day and age, as it just seems so “passé,” and irrelevant to me. Then again, attendance at Phish concerts is still in the thousands, and MGMT (as mainstream as they are) are still incredibly popular. So where does Jesse Sykes & the Sweet Hereafter fit into this equation of psych-rock? 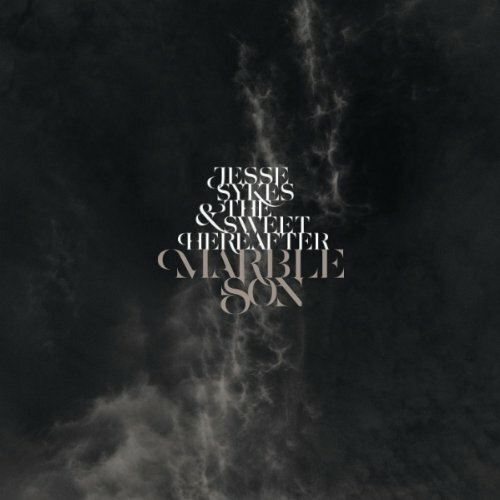 Well, their new album, “Marble Son” is difficult to categorize. As an added bonus, it’s not that enjoyable. A minute and a half into track numero uno, “Hushed by Devotion” and you’ll be met by Jesse Sykes vocals… I think. Here’s the thing: Jesse Sykes has this androgynous voice that I can’t quite place as male or female, even though my research tells me she’s a she. It’s a different sort of vocal styling, and it can work well sometimes. However, in most of these songs – it doesn’t. Throughout the album, listeners will be greeted with guitar solos of all sorts, and they’re admittedly good pieces of work by guitarist Phil Wandscher. Tunes like “Marble Son” and “Servant of Your Vision” are too uneventful to listen to. You’ll be horribly serenaded by the ghostly vocal stylings of Sykes for the entire track, and be begging for that next guitar solo to save you from the abyss of aching sound waves. Other songs such as “Birds of Passerine” really make you want to skip forward to find something more upbeat rather than depressing and mellow. Avoid “Instrumental” for obvious reasons, as it’s a pointless voiceless track that should’ve been scrapped. A standout here is definitely found in “Ceilings High,” which has nice, almost-folky rhythm to it. The guitar work continues to be stellar, and Sykes vocals work pretty well in this instance. 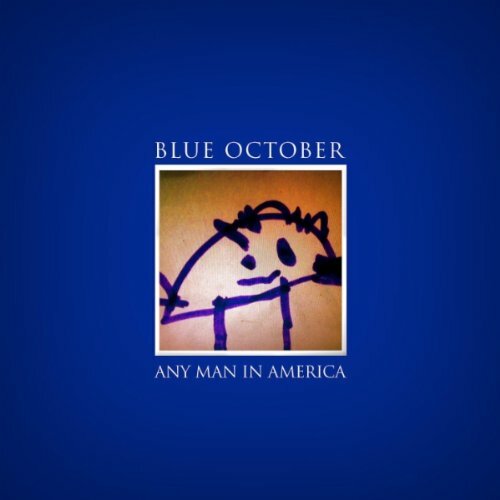 “Be it Me, Or Be it Done” is one of those mellow songs that I can truly enjoy. Again, Sykes does wonders with this track and I didn’t find myself looking for an instrumental break. For a band labelled as psychedelic, they definitely are on the very light side of it – that or I don’t know my psychedelic music whatsoever. I invite someone to call me out on it if so. It may not be a horrendous record, but only a handful of the eleven songs do anything for me. Perhaps it would help if I dropped some acid, but I’d rather continue my sober streak of eighteen years. But please – be my guest. 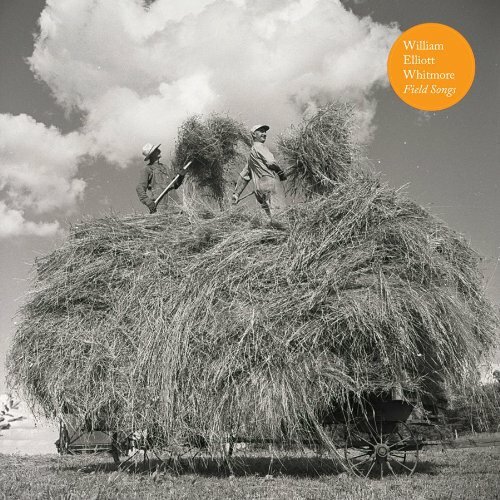 William Elliott Whitmore dignifies his seventh full-length ablum, Field Songs. This 33 year-old is an old soul. With deep vocals taking a lead role, Whitmore proves a love of folk music can be revived; along with the banjo. It is actually quite admirable to listen to Whitmore’s music because you feel like you are directly playing a part in history. Field Songs has a certain “aura” to it. Maybe it’s the old-fashioned tone that gets you feeling as if you have to like it just because it’s part of our parent’s generation. Maybe, it’s that particular refinement and distinction you don’t often hear. Whatever the case, when Whitmore sings, he demands attention. His grace shines through and you can’t help but feel with this album that 50 years ago, you could easily be hearing this on a radio—a rarity that most people enjoyed. No stranger to protests and freedom of speech, Whitmore’s music sounds as if it were needed to be played for a cause. In fact, in many of the tracks off the album, especially “Don’t Need It”, Whitmore puts hard labour on a pedestal. And, why shouldn’t he? The worst thing, according to him, is to lean on a crutch—or eventually become lazy. Sounds interesting doesn’t it? We are part of a time where we feel completely and utterly useless without our technology. “We’re just here for a little while” (from “Everything Gets Gone”) hits you and leaves you wondering about life and death—a topic that can have your mind reeling for days. With a banjo, soulful vocals and hard-hitting lyrics, Whitmore takes you back to the basics. Though, that doesn’t necessarily mean there are no deep and meaningful life lessons. With each song, this gifted artist sings about his pain and his joy—and you believe him. Whether it’s to a beautiful island resort or from your washed out cubicle you are trying to escape, Fool’s Gold’s Leave No Trace provides the perfect soundtrack. With bouncy beats and twangy melodic guitar rhythms, this LA-based quintet manage to create a colorful landscape of sounds with catchy tunes to boot. 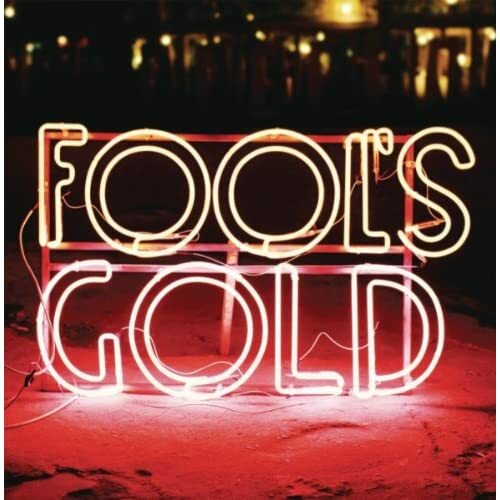 Originally a 12-person collective, Fool’s Gold has refined itself to a five-member outfit and is all set for a return trip to Europe, where they’ll be back to tour in November. They’ve recently returned from touring the festivals abroad and already have dates booked in their home nation all through September. To say this band is busy is an understatement, but with such a successful integration of musical influences, it’s no wonder these guys are so in demand. To start with, the album offers a savory blend of various genres, with something for everyone to enjoy. Part synth, part afro-beat and part pop, this 10-track record acts as a vessel in which to transport the listener into a world of musical diversity. The album’s title track, Leave No Trace, pairs a swanky rhythm with singer Luke Top’s romantic vocals. With just enough reverb there, this song gains in momentum as it gains in reflective qualities. Poetic lyricism is perhaps what Top once attempted to camouflage on the band’s previous, self-titled release, by singing in Hebrew. With most songs sung in English on this album, everything is on the table and out in the open, making it more accessible for those of us lacking in linguistic knowledge. Balmy conjures up your inner Pink Panther, with its subdued yet provocative backbeat, and leaves a cool sway in your seat. A ballad in vulnerability, this enjoyable tune acts as the perfect bridge between either half of the album. Bark and Bite begins to wrap it all up with a once-again poppy feel as you start to recover from a hedonist trip to the buffet line of musical variety. And finally, it’s quiet time with a lullaby for grown-ups, Lantern, as Top and the gang bring you back into awareness. A sweet, fun and delicate album with not only beautiful rhythms but beautiful lyrics. If there is anything that American actor, Jeff Bridges learned from his Academy award-winning portrayal of a “down-and-out” country singer in the musical drama, “Crazy Heart”, it’s how to sound like a “down-and-out” country singer. 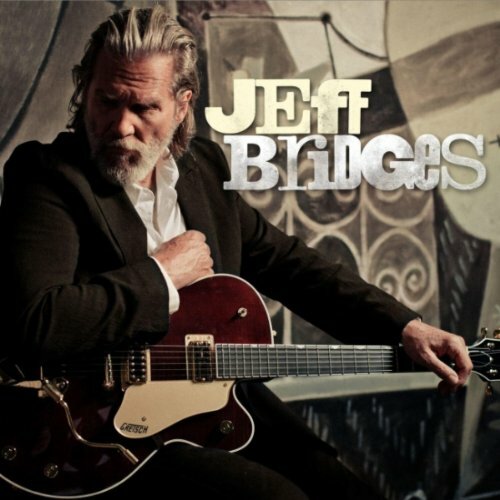 Jeff Bridges 10-song compilation is comprised of slow, dragging songs accompanied by acoustic strings and drums reminiscent of the bluegrass genre from an earlier era. In my opinion and with the exception of the two aforementioned tracks, Bridges falls short with the remainder of the album. Halfway through on “Nothing Yet,” the country singer’s voice is drowned out by a bevy of instruments, making it difficult to decipher what is being said. Furthermore, on the track aptly named “Slow Boat,” I developed the strange sensation while listening, that at this point I was in fact riding on a slow boat… a very slow-moving boat with no clear destination for approximately six minutes. Upon the conclusion of the album, the only thing my “crazy heart” wanted to do was take a nap. I commend the actor for his musical effort, but lethargic production and instrumentation makes a country blunder.